A modern and high-quality public transport is the backbone of urban transport. Against the door-to-door trip by private car, a more sustainable model of public transport should offer passengers the possibility of a seamless journey taking advantage of the flexible combination of features of the different transport modes and the covering supply of interconnected long-distance, regional and local networks of public transport. Walking and cycling are emission-free modes of transport that do not need energy (except human power) and fuels. This means that walking and cycling is very compatible for urban mobility. Besides this, non-motorised modes of transport are relatively cheap and don't need too much space. In this material one can find arguments, combinations of hard and soft measures, good-practice case studies and bicycle quality management systems. 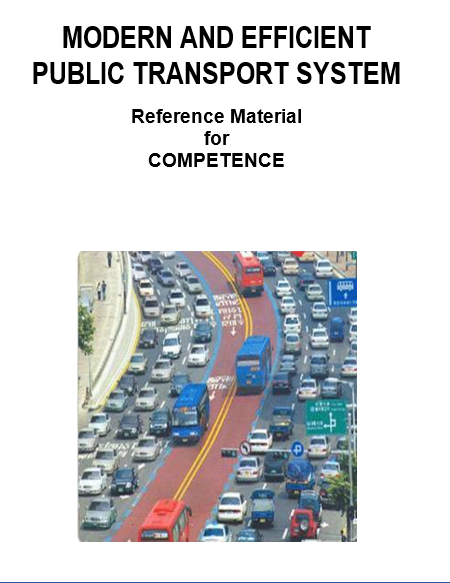 The training material gives general information about the potential to obtain a shift towards non-motorised modes such as walking and cycling. A short overview of the theory about behavioural changes, some examples of campaigns that have been carried out, general remarks on campaign creation and further web references for campaigns on walking and cycling can be found in the documentation.